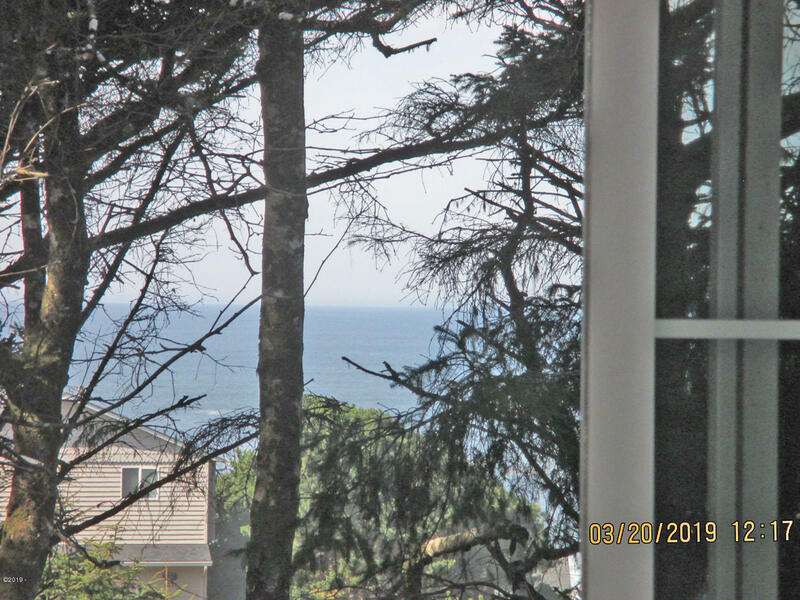 OCEAN VIEW ROADS END BEACH HOUSE IN LINCOLN CITY. Easy walk to the beach BUT tucked in on a flag lot, out of the wind, so you can use the deck & hot-tub all the time. This quality craftsman style split level home has granite, tile, newer carpet & paint, stone faced FP to gather around in the family friendly great room. 4 bdrm/2bth (3 up, master on bottom). Plenty of yard for outdoor activities too. Roads End State Park nearby with miles of sandy beach, tidepools, & rocks to explore. North end of Lincoln City so easy in & out of town. 5 minutes to shopping, dining, workout gym, & Starbucks. This one is calling your name! Currently an active VRD with valid permit so should be grandfathered in under LC rental regs for Roads End. (buyer to verify at city hall).